Are you familiar with Miyazaki or Kagoshima? Both prefectures are in the southern part of Kyushu. Miyazaki is a village with many folklores, while Kagoshima is famous for Sakurajima which has an active volcano and hot springs. 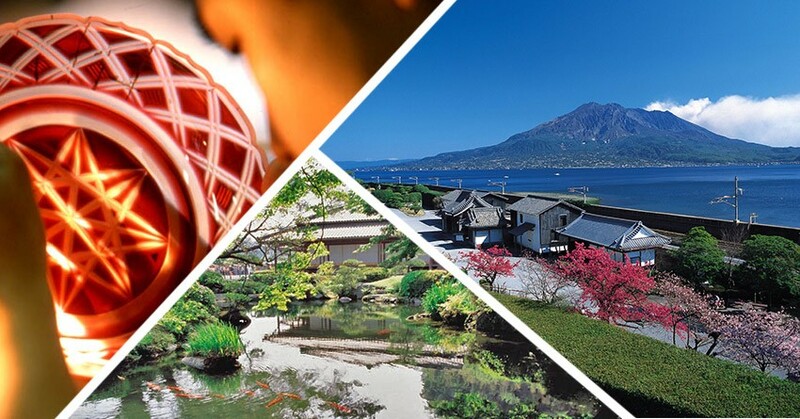 Since March 1, 2019, AirAsiaX operates four direct flights from Kuala Lumpur to Fukuoka per week, so it is easier to go to Miyazaki and Kagoshima from Fukuoka. This time we will introduce two ways of travel from Fukuoka: Rent a car or take the train and bus. Let’s enjoy Instagrammable spots and attractive food! Takachiho Gorge, which was formed by the pyroclastic flow from the Mt. Aso which erupted due to the volcanic activity. 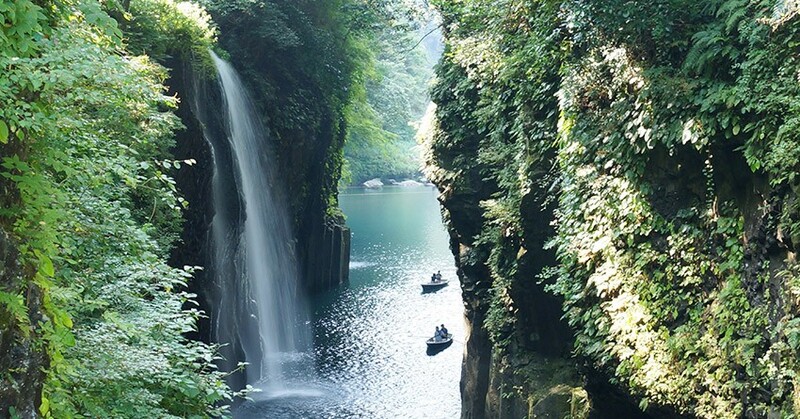 It flowed out like a strip along the river and rapidly cooled, forming Takachiho Gorge, one of the best photography spots in Kyushu.Takachiho, where a lot of myths and legends remain, is a special place for Japanese people (known as "power spot" in Japanese). Takachiho is about three and a half hours by car or express bus from Fukuoka. You can visit here in addition to sightseeing in Kumamoto. There is also a way to go from Hakata station to Kumamoto station by Kyushu Shinkansen and then get on the express bus from Kumamoto station. Bus reservation beforehand is required. In Takachiho Gorge, the walk paths are well-maintained. The walks are great, but so is sightseeing by boat which lets you have a different perspective of the gorge. In Japanese myths, Ama-no-yasugawara Cave (天安河原) is said to be the place where all the deities gather for a meeting. Somehow over time, people who visited there continued to place stones there. And now, there are countless stones, which gives Ama-no-yasugawara a mysterious and fantastic atmosphere. These stones represent each wish of the person who left it there. It takes about 3 hour and half drive from Takachiho to Kagoshima. Alternatively, you can go from Takachiho bus center to Kumamoto station by bus and then from Kumamoto station to Kagoshima by Kyushu Shinkansen. There are many reasonably-priced city hotels in Tenmonkan business district area of Kagoshima city. Let's stay in Kagoshima city on the first day! Speaking of Kagoshima, the active volcano on Sakurajima island is famous. The island is only a 15-minute ferry ride from Kagoshima Port. We’d like to share the recommended spot where you can have a full view of Sakurajima from Kagoshima city center with you. That is Shiroyama (城山) , a small mountain with an altitude of 107 meters. From the Kagoshima-Chūō Station, it is approximately 15 minutes by car. It is also easy to visit the location since the bus also stops here. There is also a path for strolling, so the location is recommended for a walk in the woods. 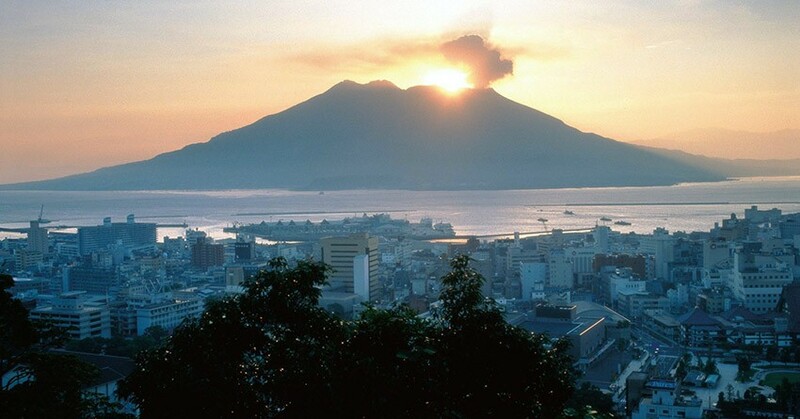 From the observation deck, you can see the panoramic view of Sakurajima, Kinko Bay and Kagoshima city area in one look. Kagoshima is a treasure trove of cuisine choices where you can have black pig, “Shirokuma” (a type of soft shaved ice with fruits and azuki beans), “Satsuma-age” (fried fish meat paste), Kibinago (silver-stripe herring) sashimi and more. How about a sweet dessert “Shirokuma”, or eating shabu pork? Whichever you pick, you won’t go wrong since they are all Instagram-worthy, too. In 1658, Sengan-en was built in Satsuma domain, which is current Kagoshima prefecture. It is a villa built for the 19th generation lord. Not only could you see magnificent landscapes such as Sakurajima and Kinko Bay (錦江湾), there is also a spacious garden with photographic spots where seasonal flowers bloom. Next to Sengan-en is the oldest Western-style factory building in Japan, "Shoko Shuseikan (尚古集成館)", which was registered as a World Heritage Site in 2015. There is also a workshop of Satsuma Kiriko (cut glass) where the beautiful cut glass is made with excellent craftsmanship. You can observe the manufacturing of this local product closely at the location. You can purchase Satsuma Kiriko at the museum shop. We also suggest taking the Kyushu Shinkansen line on the way back. You can arrive at Hakata Station in about an hour and a half from Kagoshima Central Station. The Kyushu Shinkansen trains runs a few times every hour from Hakata Station in Fukuoka, taking less than two hours at a cost of 10,450 yen. The bus trip from Fukuoka to Kagoshima is 4 hours and a half long from Fukuoka to Kagoshima via Nishitetsu Express Bus. Flights to Miyazaki is around 10,882 yen (two way), and it takes fifty minutes to travel from Fukuoka to Miyazaki. 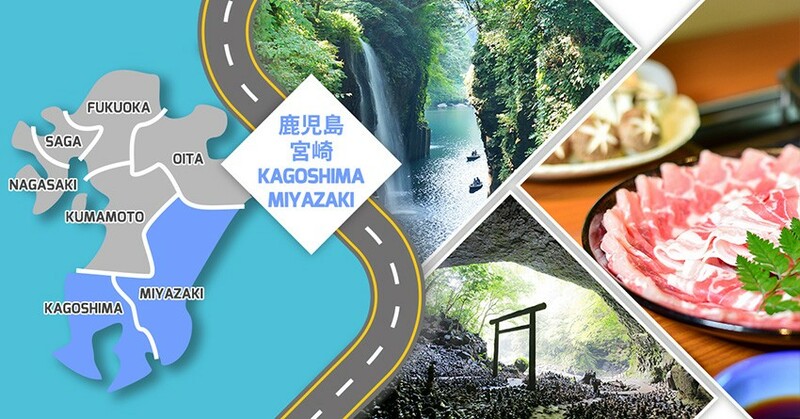 What do you think about Miyazaki or Kagoshima? Which would you visit first if you could? 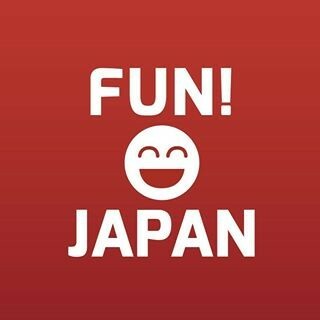 Articles related to Fukuoka, Nagasaki, Kumamoto which may interest you.